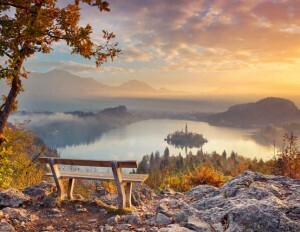 Discover the Balkans with us by visiting five of the peninsula’s northernmost countries – where South Slavic and Central European cultures merge, creating a unique environment with a whole book of interesting stories to learn about! 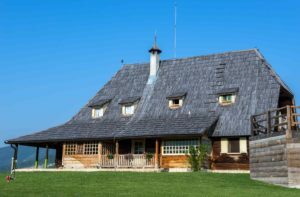 Get to know the vivid history, splendid architecture, coastal towns and breathtaking scenery of this fascinating piece of land, once forming part of Yugoslavia. 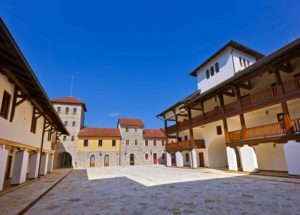 Our multi-day tour package Best of Balkans – Hidden Treasures of Former Yugoslavia includes visiting five countries and their greatest attractions: Slovenia, Croatia, Montenegro, Bosnia and Herzegovina, and Serbia. These countries used to form part of Yugoslavia, a country which existed as a kingdom between 1918 and 1941 and as a socialist country between 1943 and 1991. Yugoslavia was an amazing mix of people, languages, religions, cultures, history and geography. 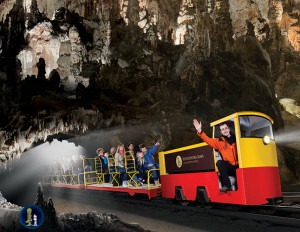 In 1991 it broke up into new countries and we invite you to explore them with us! 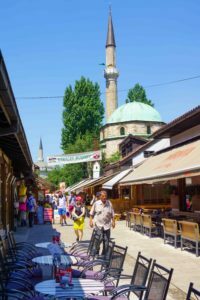 Although the Balkan Peninsula is not as famous as other European regions, you will be surprised to learn it is home to some of the most naturally mesmerising cities and landmarks on earth. Our agent will welcome you at the Zagreb Airport and take you to your hotel for check-in (after 14:00). You will have time for unpacking and lunch, which will be followed by a light walk downtown with a panoramic city tour. 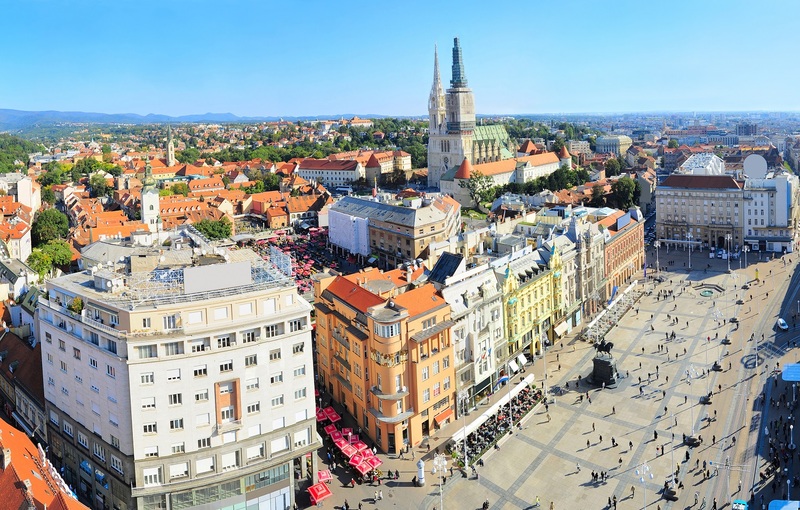 We will see Donji grad, Kaptol with the Zagreb Cathedral, the largest church in Croatia, Gornji Grad, Bloody Bridge, Stone Gate and St. Mark’s Square. Overnight stay in Zagreb. In the morning, we will head towards the coastal town of Neum, where we will pass the Republic of Bosnia and Herzegovina for 5 km, and then return to Croatia. We will continue on the scenic coastal road along the Pelješac peninsula and pass through the Elaphite Islands to Dubrovnik. We will arrive in the afternoon and explore the city, which is the pearl of southern Dalmatia, an old town listed on the UNESCO World Heritage List. 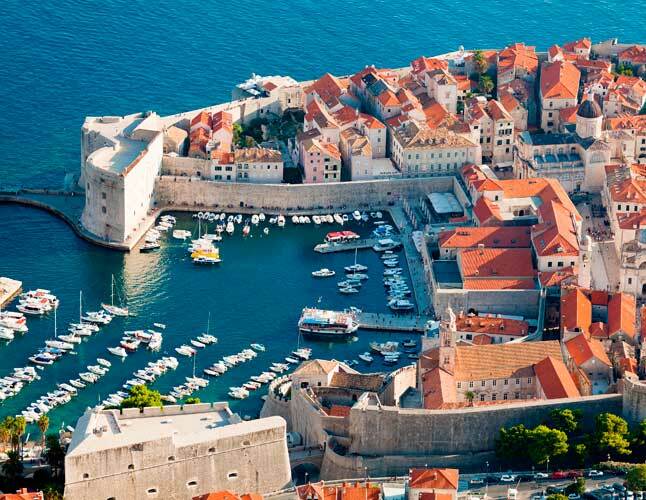 We will experience the charm of the remaining buildings from the time of the old Dubrovnik Republic, enjoy the view of the Renaissance architecture with some traces of Gothic, see the Franciscan monastery with one of the oldest pharmacies in Europe, the central street Stradun, the Sponza Palace and the church of St. Blasius, a majestic cathedral. Overnight stay in Dubrovnik. Day at leisure in Dubrovnik. You can get to know the town even better by discovering it on your own or relax by the scenic pebbly beach. Overnight stay in Dubrovnik. 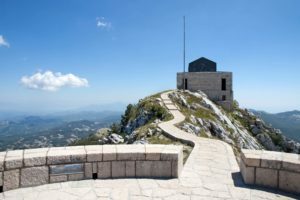 Our journey will continue to Montenegro through Herceg-Novi, at the bay of Boka Kotorska to Lovćen National Park (Mausoleum of P. Petrović Njegoš, the founder of Montenegro country) and Cetinje (the historical capital of Montenegro). An old panoramic road offers multiple photo stops with amazing views and attractions. There are 461 steps leading to the top of the Mausoleum, which will, in turn, reward you with a striking panorama of Montenegro, stretching across about 60 % of the country’s territory. After the visit, we will continue driving along the coastline to Kotor, feasting our eyes on the marvellous landscape passing by. 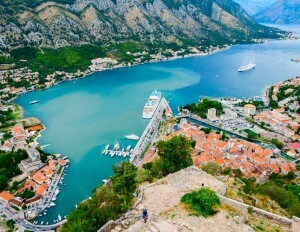 The Bay of Kotor is also known as “the most southern fjord in Europe”. After quite a fair share of driving planned for this day, we will check-in to our hotel and rest. Overnight stay near Kotor. 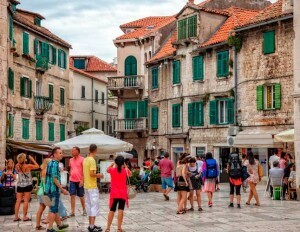 In the morning, we will stroll around the medieval fortified town of Kotor and visit the old city centre. 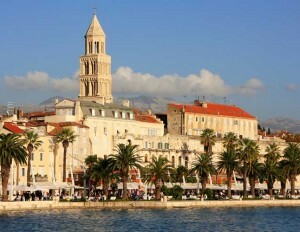 The small town boasts 18 churches, a basilica and 2 monasteries. The Venetian influence left its own distinctive mark on the architecture of the old town, which is under the protection of UNESCO. Afterwards, our journey will lead us to Bosnia and Herzegovina, through Trebinje to Mostar (short city tour) and all the way to Sarajevo. Overnight stay in Sarajevo. 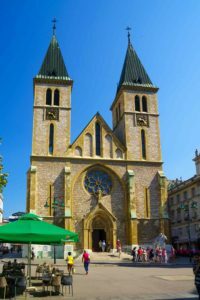 We will visit the heart of the old Sarajevo, see sites such as Baščaršija, Viječnica, the most representative building from the Austro-Hungarian era, Gazi Husrev-beg Mosque, Old Orthodox Church and the Catholic Cathedral. We will also visit the bridge of Gavrilo Princip, where Princip assassinated Archduke Franz Ferdinand, which triggered the start of the World War I in 1914. In the afternoon, we will visit the underground tunnel under the airport (“tunel spasa”), which was the only way out of besieged Sarajevo during the war in 1991. We will visit the source of the Bosna River, the so-called “vrelo Bosne.” After we return to the city, we will take an elevator and ascend the tallest skyscraper in the Balkans, Avaz, which is 142 m high. Overnight stay in Sarajevo. After breakfast, our journey will lead us to Serbia, with a stopover in Višegrad. We will see a more than 500-years-old Turkish stone bridge, which was described by the Yugoslav Nobel Prize winner Ivo Andrić in his novel “Most na Drini”. We will visit Kamengrad, which is based on the ideas of the film director Emir Kusturica. Once in Serbia, we can visit Drvengrad just across the border, another city that was constructed following the idea of Kusturica. The path through Serbia will lead us through Bajina Bašta and Valjevo all the way to Belgrade, where we will arrive in the evening hours. Overnight stay in Belgrade. After breakfast, we will go on a sightseeing tour Belgrade, a former capital of Yugoslavia and today’s capital city of the Republic of Serbia. From the Kalemegdan Fortress in Belgrade, we will have a wonderful view of the confluence of the rivers Danube and Sava. We will also visit the Sahat Tower and walk along the Knez Mihajlo Street. We will visit the former Federal Assembly of the former Yugoslavia and visit the mausoleum of Josip Broz Tito and his wife Jovanka Broz, called “Kuća cviječa.” The next stop is Church of Saint Sava, the biggest Orthodox church in the Balkans. Dinner is recommended in the bohemian quarter Skadarlija accompanied by “starogradska” music. Overnight stay in Belgrade. After breakfast, our journey will lead us from Belgrade to Novi Sad. We will go on a panoramic city tour to discover numerous historical and cultural monuments, found on the streets and squares of the old city centre. We will see famous sites such as the Liberty Square, Town Hall, Svetozar Miletić Monument, “Name of Mary” Church, Theatre Square with the Serbian National Theatre, 18th-century Uspen Church and much more. Above the town, the prominent Petrovaradin Fortress rises, which was built by the Austrians at the end of the 17th century to defend themselves from the Turks. 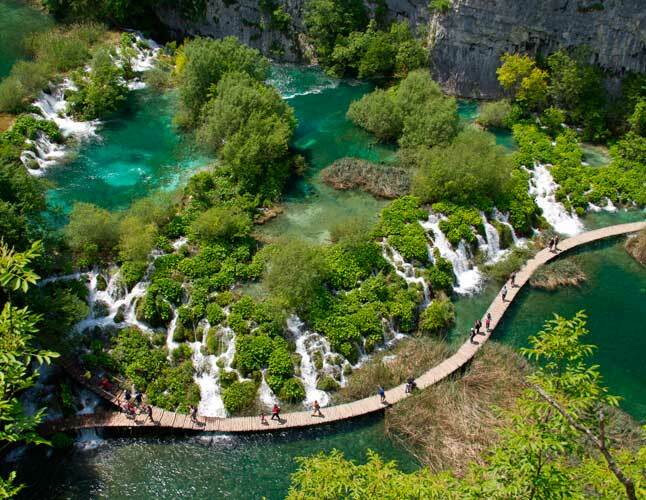 The journey will lead us through Croatia to Ljubljana, proclaimed by the European institutions the »European Green Capital 2016«. 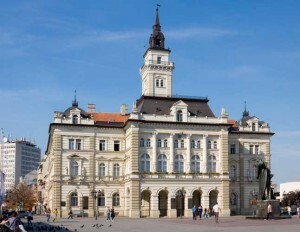 Our tour guide will take you for an evening panoramic city tour to show you its main attractions, from Prešeren Square and Tromostovje (Triple Bridge) to Town Square with its baroque fountain and Town Hall. Overnight stay in Ljubljana. Check-out, transfer to the Jože Pučnik Airport Ljubljana or Zagreb Airport (optional). *Optional: You can prolong your vacation by booking a transfer to Ljubljana with us and stay in Slovenia’s capital one extra day. We recommend taking a day trip to the Adriatic coast and discovering the charming towns of Trieste (Italy), Piran and Portorož (Slovenia). 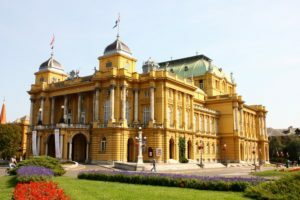 1 night in Zagreb, 2 nights in Split, 2 nights in Dubrovnik, 1 night in Kotor or near, 2 nights in Sarajevo, 2 nights in Belgrade, 2 nights in Ljubljana. Absolute must-see in Montenegro are Lovćen National Park with Njegoš Mausoleum, the Bay of Kotor a.k.a. “the most southern fjord in Europe” and Kotor Old City, Cetinje, the ultimate party stop Budva, Ostrog Monastery, Sveti Stefan, Skadar Lake, and most importantly: long, pristine, divine beaches! Sarajevo’s most popular sites are Baščaršija, Gazi Husrev-beg Mosque, Old Orthodox Church and the Catholic Cathedral, Sarajevo City Hall, the bridge of Gavrilo Princip, underground tunnel “tunel spasa”, the source of the Bosna River “Vrelo Bosne and the tallest skyscraper in the Balkans, Avaz Twist Tower. When in Belgrade, you can walk along Knez Mihajlo Street, see the Sahat Tower, the Church of Saint Sava, the former Federal Assembly of the former Yugoslavia and the Marshal Tito’s Mausoleum “Kuća cviječa”, while Kalemegdan Citadel (Fortress) offers a wonderful view of the confluence of the rivers Danube and Sava. Climbing 461 steps to the top of Njegoš Mausoleum will reward you with a striking panorama stretching across about 60 % of the country’s territory. Aside from impressive natural beauty, Montenegro also offers splendid activities, such as Tara River rafting for adventurers, hiking in Durmitor National Park, skiing in ski resorts, canyoning, boat tours and more. Strolling around Old Town, you can discover cute souvenir and coppersmith’s shops (if there is one thing you can buy, let it be copper dzezva!) and get the chance to taste the national brandy “rakija” and dish “ćevapi”. For a historical reminder, visit the stone plaque marking the spot where Archduke Franz Ferdinand was assassinated in 1914, which triggered the World War I. To learn about the captivating history of Yugoslavia, visiting the Museum of Yugoslavia is a must. On a more contemporary note, you can visit the Museum of Contemporary Art, check out Escape Rooms, chill by the lake beach Ada Ciganlija, or have dinner in the bohemian quarter Skadarlija accompanied by the traditional “starogradska” music.